Through Rob Hamill’s personal story, Brother Number One explores one of the “forgotten” genocides of the 20th century, examining how and why nearly 2 million Cambodians could be killed by a fanatical regime known as the Khmer Rouge. 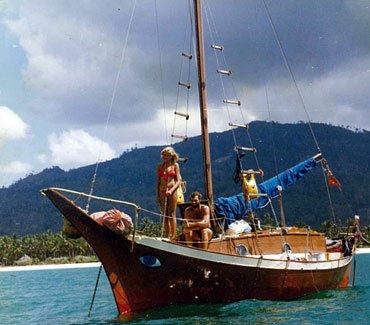 Kerry Hamill was on board his charter yacht Foxy Lady with two other men when they anchored at Koh Tang Island to shelter from a storm. His girlfriend Gail had recently left the yacht to visit family in Hawai’i. Unbeknownst to them they had entered Kampuchean waters, neither did they know of the horror story that was unfolding on the mainland. They had sailed from the hippie era of “love and freedom” into Year Zero. Along with Englishman John Dewhirst, Kerry was seized and tortured for two months at the Khmer Rouge slaughterhouse, Tuol Sleng (S21). After signing confessions taken under duress that “admitted” CIA affiliations, they were executed on Comrade Duch’s orders. A third companion Canadian Stuart Glass was shot and killed when the boat was captured. Some would say he was the lucky one. Brother Number One follows Kerry’s youngest brother Rob Hamill, an Olympic and Trans-Atlantic rowing champion, in his quest for justice. It was during the Atlantic row, 41 days of solitude at sea and exhaustion, that Rob began to properly grieve for Kerry and came to the realization that he would have to do something to honour his brother’s memory. Then, some years later, he heard that finally there was to be a war crimes tribunal process and he decided to participate, signing up to give a Victim’s Statement at the ECCC. As well as giving his statement, Rob attempts to discover the most probable scenario surrounding the capture, incarceration, and murders of his brother and sailing companions. He travels with Cambodian translator Kulikar Sotho, a survivor of the killing fields who will tell her story in parallel with Rob’s. Together they explore the devastating impact of Pol Pot’s maniacal ideology—which saw 2 million killed through execution, starvation and sheer hard work. The film interweaves the history of Cambodia with their journey. The former French colony was sucked into the Cold War; bombed illegally by Nixon and Kissinger; suffered four years of Khmer Rouge brutality; was invaded by the Vietnamese; then in a twist of realpolitik, saw the greatest war criminals since the Third Reich aided and abetted by China, the US and the Western powers. Many Cambodians today remain ignorant of their history, their lives marked by poverty, HIV, and violence. Rob’s journey culminates in a confrontation in court with Kaing Khek Iev, better known as Comrade Duch, former Commander at S-21, who gave the final orders for Kerry and John to be tortured and killed. Up to 14,000 Cambodians met the same end in the notorious prison. After 30 years of impunity, Duch and four former “Brothers” are currently standing trial for Crimes Against Humanity, homicide and torture in the Extraordinary Chamber in the Courts of Cambodia (ECCC), a war crimes tribunal that was finally established this year after a decade of international wrangling. In July 2010, Duch was sentenced to 35 years in prison, which was reduced to 19 years for time spent in detention and mitigating circumstances. Both the defense and prosecution has appealed. Brother Number One grapples with the struggle to forgive versus the anger that Rob feels, the same trauma that grips a whole country and the global Cambodian community. The film is directed by award-winning filmmaker Annie Goldson (Punitive Damage, Georgie Girl, An Island Calling) and produced by Pan Pacific Films and BNO Productions.